While a lot of you may be sad summer is coming to an end us southern hemisphere folk are celebrating the end of the cold weather (fingers crossed). Glad or not, it marks the start of a new month and that means it's time to collect your Monthly Freebies once again! Just a quick note: the monthly trophies for August will be awarded in a few days time, as we just need to get our trophy awarding script sorted out. Big congrats goes to will, purplebin, and eminic1994 for coming in first, second, and third respectively! It's a new month, which means a new opportunity to help us tag lots! 20,000 more trades have been added to the queue. We are still working towards reaching our 2015 fundraising goal. If you have some spare cash and you'd like to donate you can check out all the details on our Donation page. We'd be eternally grateful and have shiny trophies to add to your cabinet if you do donate! Nothing like a little incentive, right!? 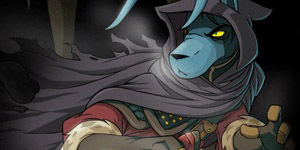 The third item from the Friend or Foe Collection has been released, and features Kanrik! This item will only be available during September. As promised in yesterday's editorial, a new party has arrived at Shenanigifts! The theme for this one is a Garden Party. 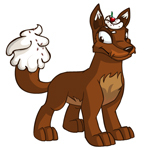 Our Shenanigifts guide has been updated with the new set. We need models for most of these items, so help us out! UPDATE: This Pteri is no longer eligible to give the avatar. 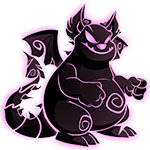 If you still need it, the Darigan Pteri avatar is available by viewing this pet lookup until ~4 a.m. NST on September 18th. In a bit of a surprise, Charity Corner is now live! However, instead of holiday gifts, Granny Hopbobbin is back looking for "school tools." You may donate a wide variety of school-themed items this year, including school supplies, books, and clothing. Our guide is now live with all of the categories of items that you will be able to donate, so check it out below! We are also working on pricing items in our Item Database to keep them up to date during the event. In the meantime, prices will be going crazy today as Neopia comes online and empties out their SDBs. Currently, there is no "Most Generous Neopians" high score table visible, so it is unclear if that portion of the event will return this year. We will keep you posted on its status. New NC Event: Backpack Packing Centre! What is the Backpack Packing Centre? The Backpack Packing Centre is a place you can go to donate a backpack of NC items to needy Neopians. To get started, you'll need a Backpack for each set of three NC items you want to donate. Once you've donated, you'll receive a donation receipt, which you can spend at the Gift Shop. What is the duration of the Backpack Packing Centre? The Backpack Packing Centre will run from September 24, 2015 through October 8, 2015. You can join the event anytime during that period by picking up a Pack of Backpacks from the NC Mall. What type of NC items can I donate? You will be able to donate any type of item that is classified as NC. How many NC items do I need to donate to get a prize? You will need to donate 3 NC items using one Backpack. For each donation of 3 NC items, you will receive one Donation Receipt. What type of reward will I receive for my NC donations? For donating each set of three packed NC items, you'll receive one donation receipt. Bring that receipt to the Gift Shop and select your reward for helping out a Neopian in need. How many Donation Receipts do I need to get to claim a prize item in the Gift Shop? The items in the Gift Shop are available for different amounts of Donation Receipts. There are items available in exchange for 1, 2, 3 or 4 Donation Receipts. I accidently donated an NC item, can I get it back? Please be very careful when selecting items to donate. Unfortunately once you confirm your donation, it cannot be returned to you. Is there a time limit as to when I need to spend the Donation Receipts I receive? Yes, you must spend your donation receipts at the Gift Shop before the prize shop closes on October 11, 2015. Will I be able to gift a Pack of Backpacks? Yes, the Pack of Backpacks functions just like any other NC item and will be giftable with a NC Gift Box (one item per NC Gift Box). They, like all NC items, cannot be sold or traded. Will I be able to unzip a Pack of Backpacks on my side account(s)? Yes, you can unzip and use a Pack of Backpacks on your side account(s). UPDATE: This appears to be fixed. 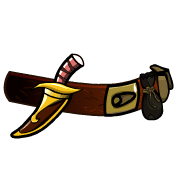 If you continue to get prizes that have rarities higher than the lowest rarity item you donate, let us know in the comments. Donating should now be safe and glitch free. Have you been busy helping all those Neopians in need? Then you might have noticed an issue this morning with prizes awarded not being of the same rarity as items donated. Our team did catch wind of this and can confirm that this issue has been fixed! You should now be able to donate and receive prizes in the correct rarity range. And. for those of you worried about accidentally receiving prizes with a higher rarity than what you donated, rest assured that since this issue originated from something on our end of things, you will not be frozen for having accepted these prizes. Happy donating! A glitch has been reported this morning with the Charity Corner event. 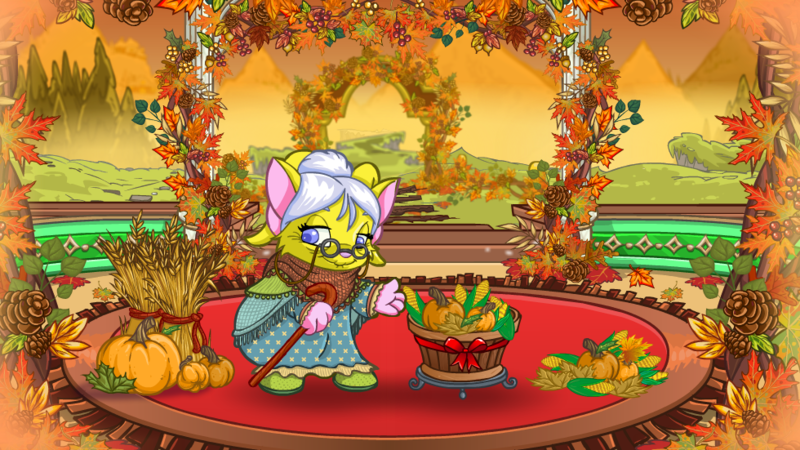 Granny Hopbobbin is now awarding any item, r1-99, for any donation rather than having the prize you're awarded be connected to the rarity of items you donate. That means you can donate five r50 items and potentially have a chance at a r99 prize. This does not seem intentional from what we can tell. We suggest that you avoid donations for today until things get sorted out. There's no high score table for this event, and there are 10 days left! So there'll be plenty of time to get your donations in.